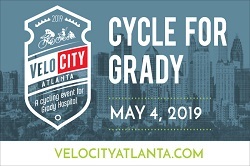 These rides are put on by various organizations and bike shops around the greater metro Atlanta area. Some rides do not have a leader and are “pick up rides.” Always check with the ride leader, if there is one, for a ride map. Contact the ride leader or shop to verify that the ride is still going on. Unless specified, these are hard training rides geared towards advanced riders and racers and those that have group riding experience. Aerobars or tri-bikes are not allowed on group rides. If you have them, do NOT ride in them in the group. Expect to be dropped and be on your own if you cannot keep up with the group.Cycling is a dangerous sport. Southeastern Cycling, Trish Albert, and the sponsoring ride groups are not responsible if you get lost or hurt on these rides. You ride at your own risk and assume all responsibility for yourself and your equipment. Please note that all times are PM (afternoon/evening) unless otherwise stated. 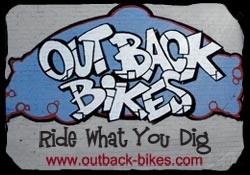 Dunwoody Chick-Fil-A Ride, 8:00 am, Ride through either Brookhaven or Vinings. 30 miles. Meet at the Chick-Fil-A on Mt. Vernon near Abernathy Road, Email morecarl@hotmail.com. Dunwoody Sunday Warm Up, 6:30 am, 1.5 hour warm up before the Chick Fil A Ride. Meet at the Crema Cafe. Email dunwoodycycling@gmail.com. Dunwoody Dark Side Ride, 5:30 am, 48 miles, A group. 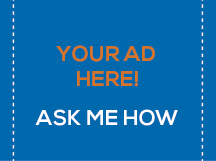 Email rides@dunwoodycycling.com. Atlanta Cycling Duluth Lakes Ride. 10:00 am year round. 16-18 mile social ride. Some rolling hills. Atlanta Cycling Duluth. 8:00 year round. Moderate Strenuous. One group rides 26-36 miles at 17+ mph. A second group rides 18 miles at 14 mph. Meet at the Duluth location of Atlanta Cycling. John’s Creek. 8:00 am. (10:00 am in winter) Moderate-Strenuous. Meet at Bikes and Life in John’s Creek. Ride is approximately 25-30 miles with various groups and paces ranging from 15-20 mph averages. Outspokin Ride. 8:00. Moderate/Strenuous. 33+ miles. There are a few climbs and a lot of rolling hills. A & B groups. Northstar Bicycle, 8:00. Beginner and Advanced rides. Distance Vary. Trek of McDonough Road Ride, 8:15, Beginner is 12-23 miles at 15-17 mph with Intermediate riders doing 28 miles at 17-20 mph. No drop. PTC Road Ride. 8:00 am. Meets at Trek of Peachtree City. Beginner/Moderate/Training. Group A – 30+ miles at an average of 17+ mph. 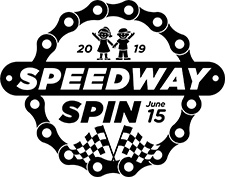 A Group: 40+ miles at 21+ mph, B Group:m 25-30 miles at 17-19 mph (regroups, no dropped rider), C Group: 20-25 miles at 12-16 mph with no drop. Dunwoody Dark Side Ride, 5:30 am, Camel Back with a Side of Overlook, 42 miles, A and B groups. Email rides@dunwoodycycling.com. 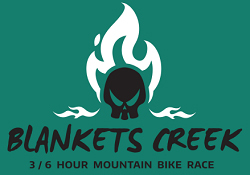 Suwanee Creek Bicycles, 8:30, All Levels, 16+ mph, Ride to Lake Lanier and back. 22 miles. Wrenched Bicycles, 8:30, Varying abilities and routes. 25 mile route, 40 mile route, 60 mile route. Performance Bikes Roswell, 9:00 am, Beginner Ride, 12 mile loop at 12-15 mph, no drop. Call the store for details. 770-587-5072. 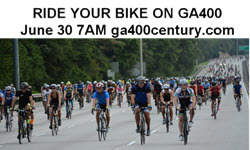 PC3 Saturday Ride, 7:00 am, 35 miles, Moderate-Stenuous, Usually splits into 2 groups. Depart from the Peachtree Corners Lifetime Fitness. Cue Sheet. Buford Cycling Club, 8:00. Moderate. Meets at Performance Bike-Buford. Performance Bicycles Buford Ride. 6:30. Various Speeds. Advanced (B1) ride will average 17 mph and ride for 90+ minutes. No sweep. Intermediate ride (no drop) will average 15 mph and ride for 90+ minutes. Beginner ride (no drop) will average 10-12 mph and ride for 60+ minutes. Helmets are required. No ride if raining. Bike and Life, 8:00, Strenuous/Moderate, 32 miles with a lap around Berkley Lake. A Group averages 21-23 mph, and the B Group average 16-18 mph. Grayson Cycling Club Meet at Grayson Coffee. 20-28 miles. A, B, and C groups. 15-40 miles. Stay for coffee afterwards. Cycology Shop Ride. 8:00 am. Meets at Cycology Bike Shop in Hiram. 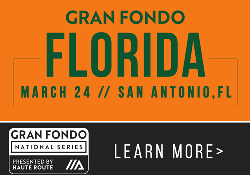 Introduction to road group rides, Intermediate ride, 18 miles, 15-17 mph average. Whitetail Bicycles. 9:00 am. Training/Strenuous, 40 mile loop, 17-18 mph avg. pace. Please park at the Alpharetta Municipal Building located at 12624 Broadwell Rd, Alpharetta 30004. 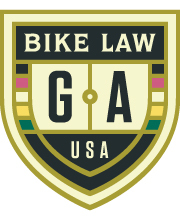 Atlanta Cycling Roswell Beginner MTB Ride, Roswell, 8:00 am year round. This ride is perfect for those wishing to learn more about mountain bike riding and to gain more confidence on the trails. Trail Status at RAMBO-mtb.org. No ride if the trails are closed. Senoia Bicycle Beginner Ride. 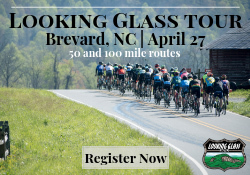 10:30 am April-October, 1:00 pm November-March 30-35 miles/19+/- mph ride usually breaks into several groups, we will try and stagger the start time for each group accordingly. The 15-16 is a NO drop group. A Group (19+ mph), B Group (16-18 mph), C Group (15-16 mph). 20-25 miles. Cart Path Ride, Easy/Moderate. 9:30. Meet at Bicycles Unlimited in Peachtree City. Not recommended for road bikes. 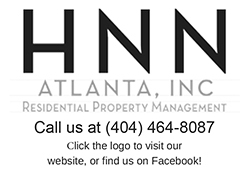 For more information, contact Mark or Holly at 770.486.9252. Bikes+Life. 8:00 am. Strenuous. 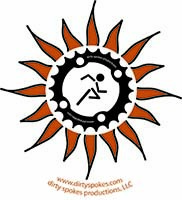 Meet at Bikes+Life in Johns Creek for a hilly 30 mile ride at 17-18 mph.